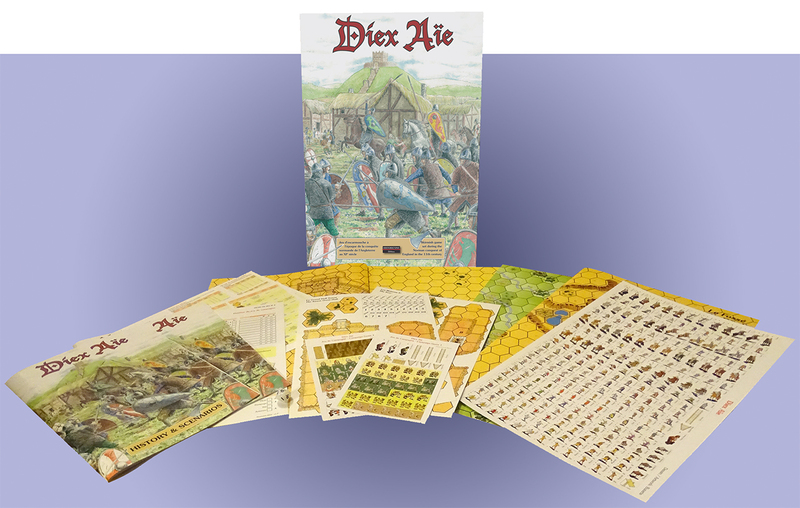 DIEX AÏE ("God helps" in Latin, the warcry of the Duke of Normandy) is set in England just after the battle of Hastings in the second half of the 11th Century. It depicts the numerous fights that Saxons fought to resist the "Norman Yoke". 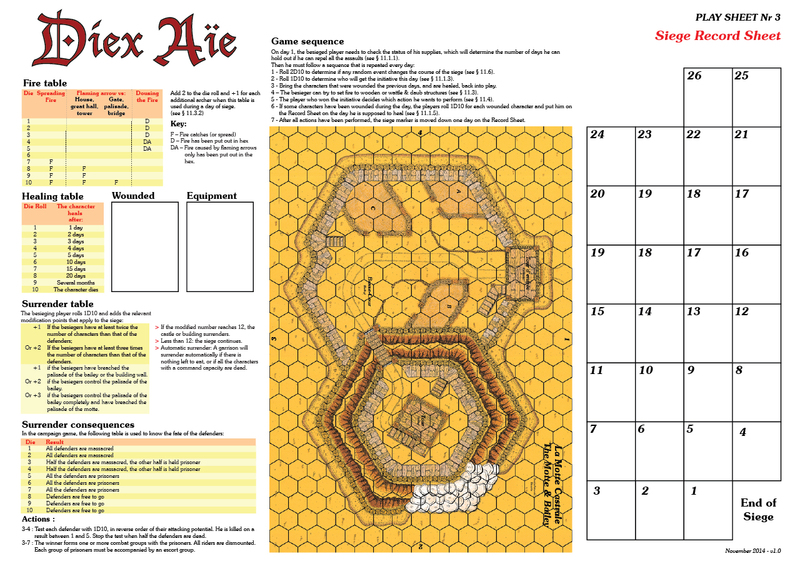 DIEX AÏE introduces a campaign game: It is used to generate tactical scenarios which are played on the standard maps of the series. 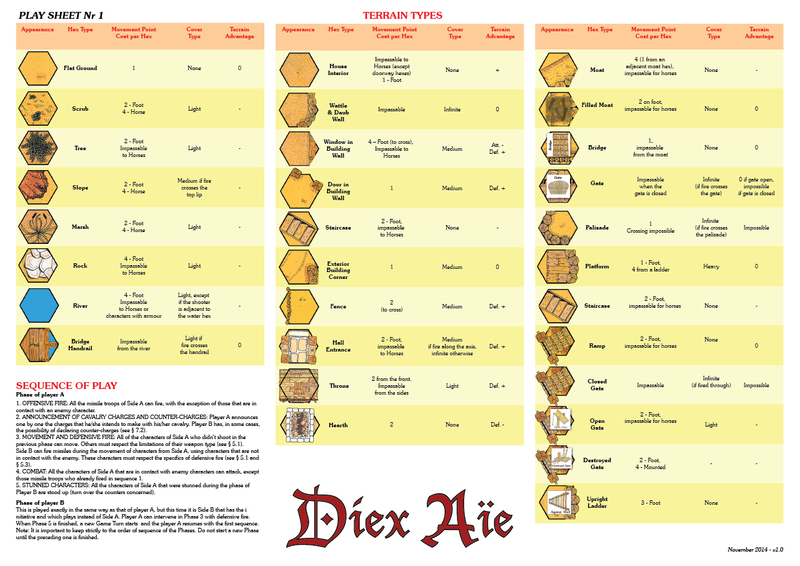 DIEX AÏE is the first companion game to the popular GUISCARD game. 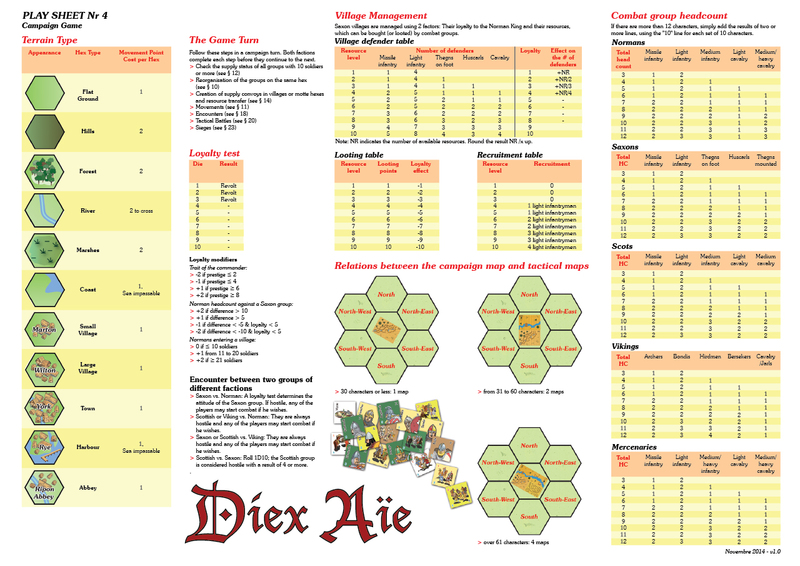 Like this one, DIEX AÏE is a complete boxed game with counters, maps, rules, scenarios and playsheets. 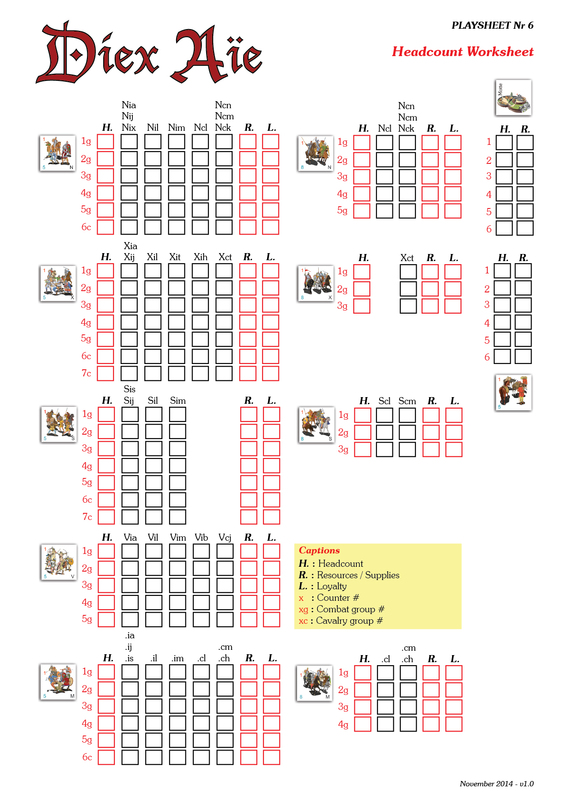 Note: Click on the counters below to see the various stances of each character (wounded, on foot, stun or dead). The game includes 3 maps. The Motte & Bailey map displays a wooden tower on top of a motte, overlooking a small bailey with buildings and surrounded by a wooden palisade and moat. The Woodbridge is compatible with The River map and the open space is designed to position buildings to simulate a small village. The Ditch has a marshy bottom and is a challenging obstacle for cavalry to cross. In this configuration, the Great Hall is located between the motte and the bridge. Other buildings (yet to be designed) will form a small village protected by the castle. On the other side, the ditch provides a good protection to the motte & bailey. 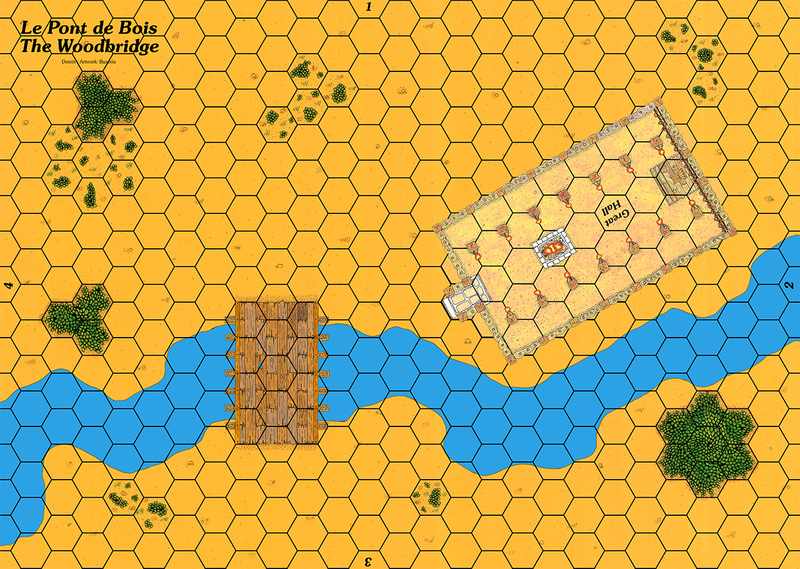 In this one, the bridge is perfectly aligned with the entrance of the bailey. 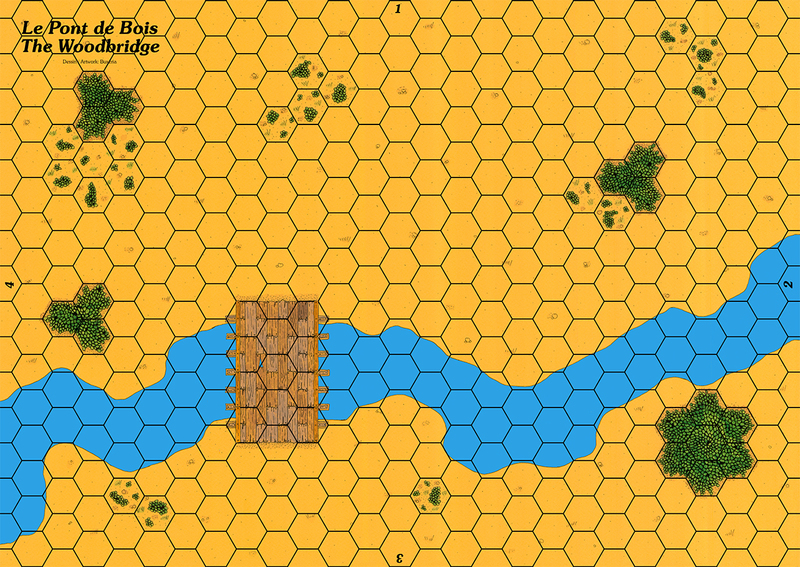 The open space between the river and the ditch is the perfect ground for cavalry charges. 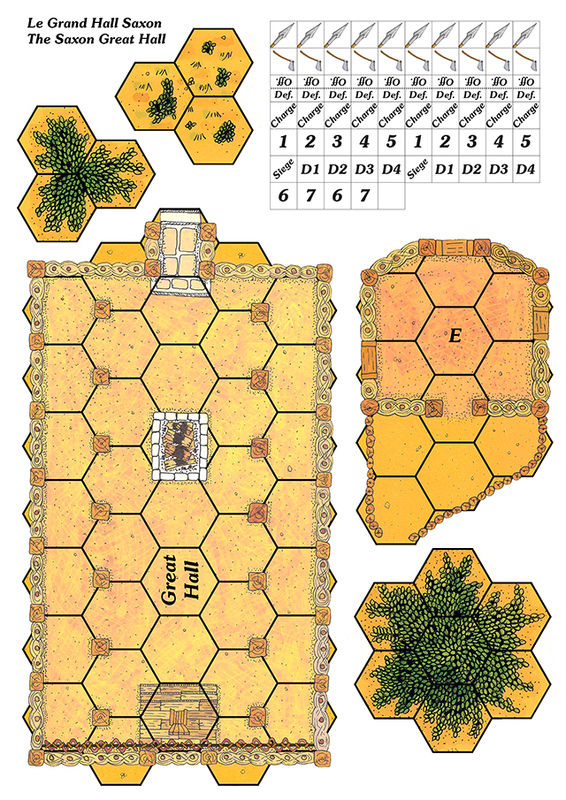 Two campaign maps are designed to play several scenarios. 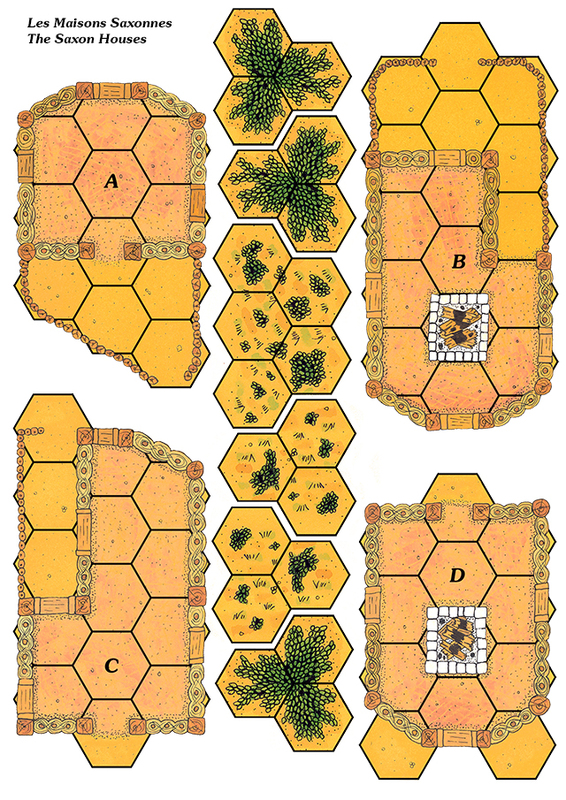 These maps use hexes which are the same size as those of the tactical maps. 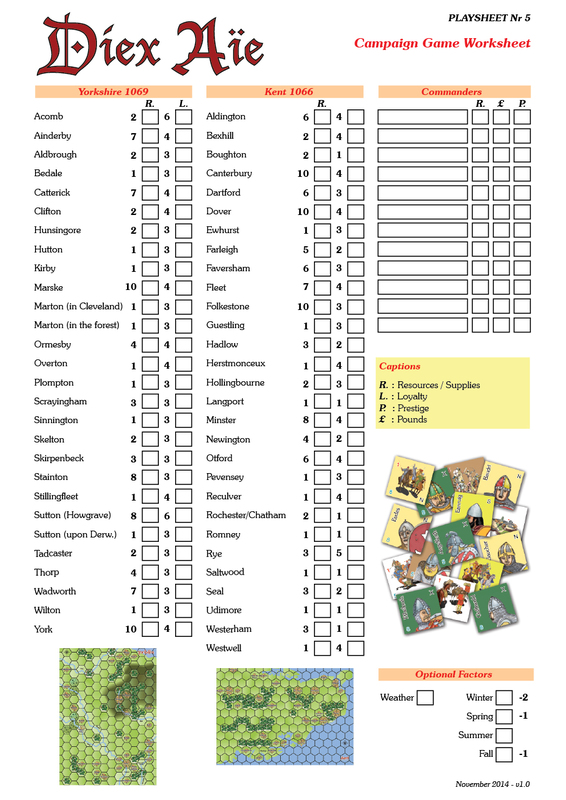 The tactical rules are similar to those of Guiscard, with only a few enhancements and clarifications. 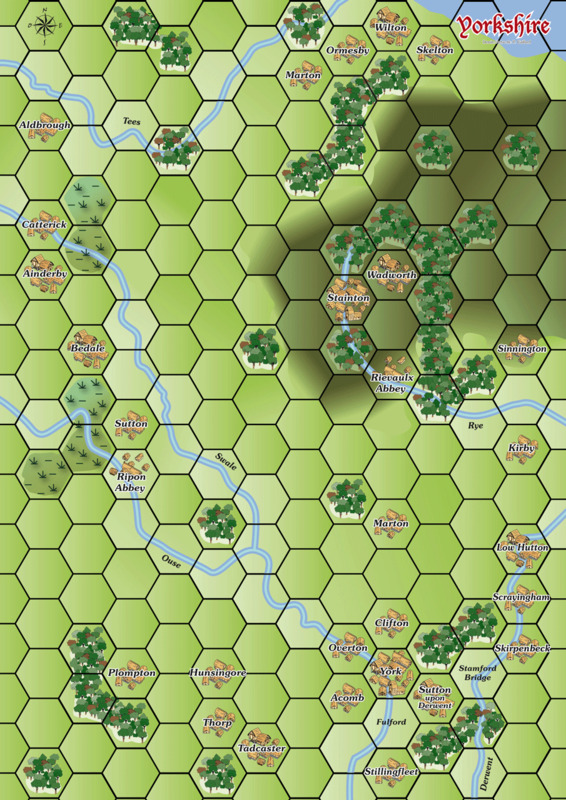 The Campaign game uses brand new rules, intended to generate battles which are resolved on the tactical maps. 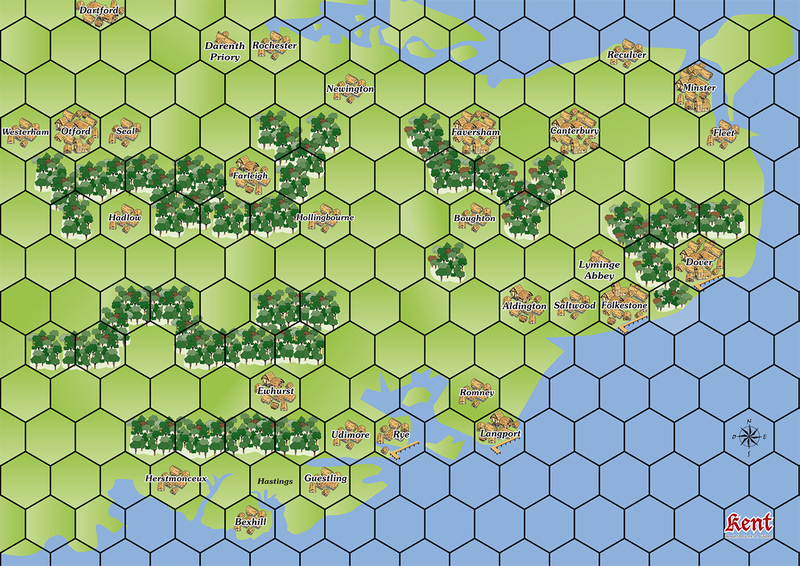 > The tactical module includes all the counters, overlays and maps of the game (as well as those of GUISCARD). 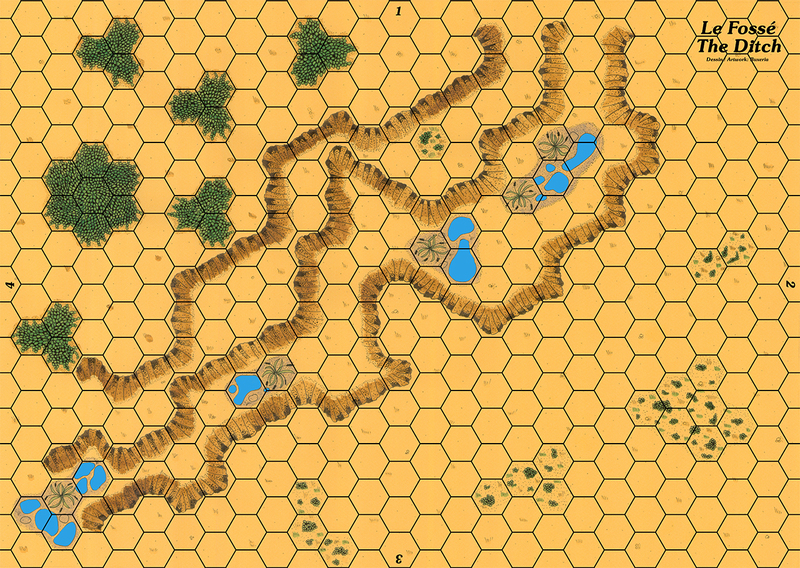 Additional maps were added to let you play all the scenarios included with these 2 games. The user interface boasts several neat functions, like the ability to move a belfry (overlay) with characters on it as one single piece, or manage several levels (a character under a hoarding for instance). 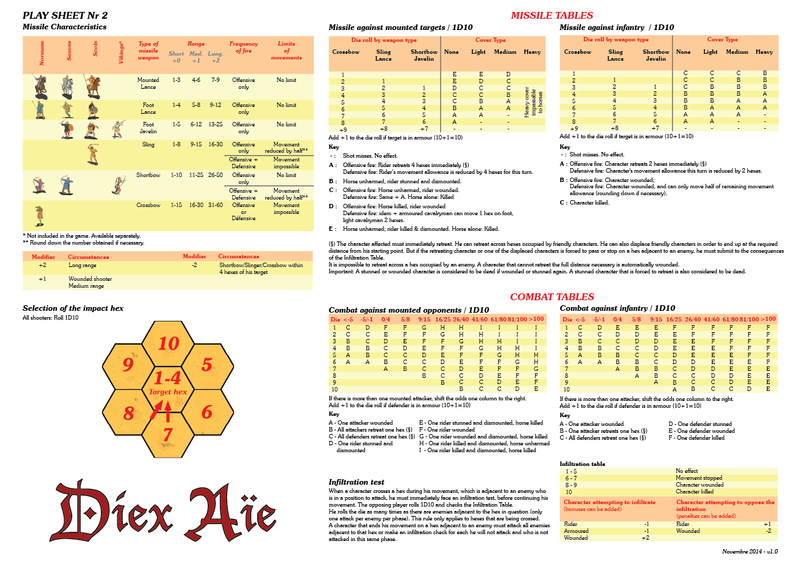 the game at any time, hence getting rid of the hassle to keep the boardgame deployed on a table for an extended time between two tactical games. Counter and settlement management is also vastly simplified as a simple right-click let you access all the parameters and edit them at any time during the game. Default values for the settlements are already preset for faster setup time. To play these modules, you must first download and install the Java software as well as the Vassal engine.